Each day, from December 1st through to Christmas, one of many North Pole characters (including Santa himself) will come in loud and clear. They’ll engage children in two-way conversations that are entertaining and magical—and keep them believing in the spirit of Christmas. A recordable feature was erroneously described in the email for this item. This item does not record. We apologize for any inconvenience this may have caused. 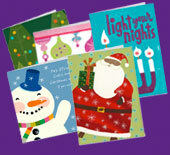 Choose from Cards, Gift Wrap, Gifts, Keepsakes, Albums, Frames, and much more. Select the Store Locator button to find the store nearest you. coordinating photo album, included in the kit. *Offer valid on 8XKT1204. 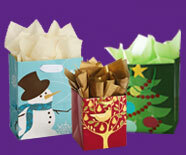 Offer valid until 12/24/13 while supplies last at participating Hallmark Gold Crown stores in Canada, excluding Quebec. Retailer has the right to limit quantities. Sales receipt must accompany any returns. **Offer valid on 8XKT1307 until 12/05/13 while supplies last at participating Hallmark Gold Crown stores in Canada, excluding Quebec. Coupon must be presented at time of purchase. Retailer has the right to limit quantities. Sales receipt must accompany any returns. **** Must purchase “Ultimate Gift Bear” and the card in the same transaction. Retailer has the right to limit quantities.